1. It can help relieve your stress – looking for the perfect pick-me-up after a stressful day? 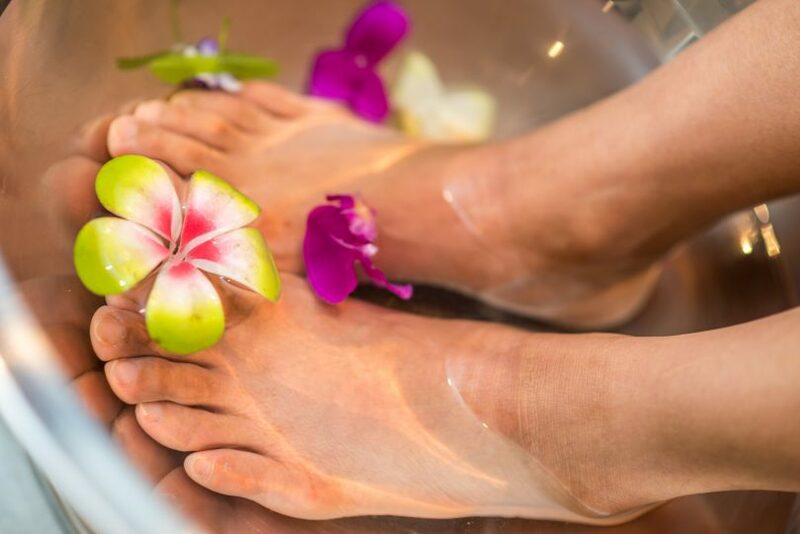 A trip to your local spa for the perfect foot spa treatment is just the trick. You will immediately feel soothed with the relaxing foot bath, and if you do the massage, you’ll surely feel the stress leaving your body. 2. It can help you sleep better – there are many reasons why you may be having a hard time to have a restful sleep. It may be as simple as being distracted by your gadgets like cell phones or tablets, or it may be because you are experiencing chronic pain. Getting a foot spa treatment can help make you more relaxed and allow you to have better sleep than before. 3. It can improve your blood circulation – having a sedentary lifestyle can reduce your blood circulation because we are not able to use the muscles in our legs. Overall, if your body has poor blood circulation, it can lead to a myriad of health issues. You can change your habits such as stop seating a healthier diet. You can also have a regular foot spa treatment to help the blood circulation in your feet. This is especially helpful for those with diabetes. 4. It can reduce the risk of foot and ankle injuries – if are always experiencing pain in your foot, getting regular treatment can help not only with alleviating the pain but if you combine the foot spa treatment with some strengthening exercise, you can also reduce the risk of getting injured in the future. 5. You can have it done at home – for many, that regular trip to their local spa place for their foot spa treatment is a highlight of their week. But the good news is, you don’t need to go to the salon or massage place to get some pampering for your feet. By investing in some tools and equipment, you can have your own foot spa treatment at home. The first thing you can invest in is a foot spa machine. Since there are so many in the market right now, you can check out the reviews here to help you make a decision on which one you should buy based on your needs.